Should We Continue Black History Month? As February 2014 comes to a close, so does another Black History Month. 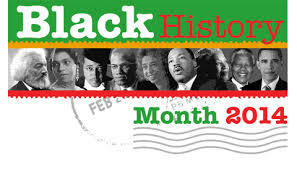 Black History Month, often focuses on important people, places and events in our American history related to the origins, struggles and achievements of African Americans. As its been often expressed those who don’t understand history are doomed to repeat it. What then have we learned about the value of having one month a year be identified as “Black History” month? “ Yes there should be a Black history month considering schools make it mandatory to learn about white history I totally agree with the person who said we should just consider it apart of American history and but unfortunately none of my history textbooks mention much about blacks contributions. If you all are educated about black history so much in school, care to tell me who Mifflin Wistar Gibbs, Nannie Helen Burroughs, Jean Baptise P. Du Sable are? I can definitely tell you I have never learned about them in school and I have to do my own research outside of school. Another thing I don’t understand is why are people so uptight about us blacks having BHM?